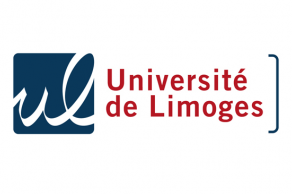 University of Limoges is nestled in the Aquitaine-Limousin-Poitou-Charentes region of France. Just hours away from Paris and Bordeaux you will discover the French public research university with partnerships and ties all over the world. The University was established in 1968 when various research institutions consolidated. At its inception, there were only 7000 students, but has since doubled in attendance. The school is currently attended by over 14,000 students and close to 1,000 scholars and researchers from around the world – making this a middle –sized university by French standards. The university inherits its tradition of research, innovation and teaching possibly from as far back as the Middle Ages when the region was the centre of technology of materials, enamel, manuscripts, scholarship, liturgy, theatre and the like. The University offers a full curriculum of undergraduate studies as well as Doctoral courses with an eye on the future. 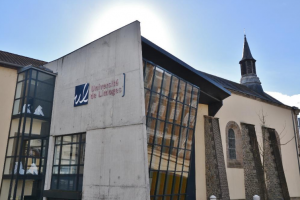 As the world evolves the University of Limoges understands the need to develop new courses to line up with the postmodern and the postcolonial society and continues to do just that. The University of Limoges has partnerships with many universities and laboratories around the world. The university bases its research efforts within four institutes which connect twenty-three Laboratories and an excellence laboratory or Labex. The foci of study are XLIM, IPAM, GEIST, and SHS. XLIM Institute is a multi-disciplinary research and multi-site located in Limoges, Poitiers and Brive. This discipline of XLIM focuses on electronics, microwave, optics, computer science and much more. IPAM Institute focuses on the “processes applied to materials” that brings together two laboratories that intersect at engineering and the field of materials processes. Here there is a research balance between fundamental concerns and the more finalized subjects. This pertains to the development and fine characterization of material and model development processes as well as product behaviour during use. GEIST Institute centres on the disciplines of genomics, the environment, immunity, health and therapeutics. CNRS brings together active researchers in the fields of biology, health, chemistry and environment in Limoges. SHS Institute concentrates on the Humanities and Social Sciences. There are 9 teams covering a wide range of disciplines and over 400 people. The role of SHS is to provide the best environment for the development of their businesses. The University of Limoges and the region in which it resides is replete with history. From the days of the roman occupation to King Richard the Lionhearted whose mother was a native of Aquitaine and the porcelain, enamelware and stained-glass, this land was meant for research, discovery, and tutelage.